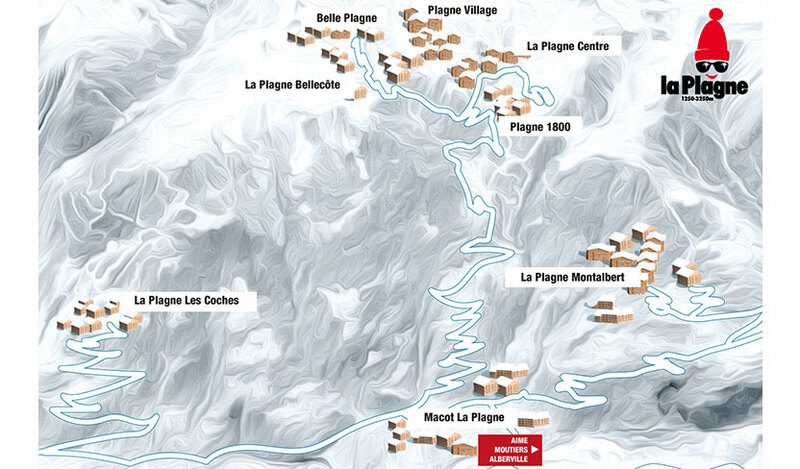 La Plagne is a beautiful place – a plateau surrounded by the great snow covered alpine peaks. You have to say this first because it has a reputation for ugly buildings. True the earlier buildings are what you might call architecturally challenged, if you are not a fan of Le Corbusier and his disciples. But the scenery is wonderful - on the edge of and even in the glorious Parc régionale de la Vanoise where you may see ibex, chamois, golden eagles bearded vultures. Much of the early part of the resort was built on the principle of the ‘the most people on the least land’ to preserve the ski area, with inevitable architectural consequences. Even so it is ironic that the most controversial building, the giant ‘paquebot’ at Aime La Plagne, built in 1969, has the highest client fidelity score. La Plagne, made up of six high-altitude resorts, which are linked from 8am to midnight, and four further down the mountain. And certain villages are very attractive, particularly that of Belle Plagne, developed later. La Plagne is big, the biggest ski resort in the world both by number of days of ski lift passes bought in a season- 2.5 million and by the number of beds – 53,509. It has the biggest ski lift in the world, the Vanoise Express linking it with adjoining Les Arcs. Together they make up most ofFrancesthird biggest ski area Paradiski. This means a lot of people but at the same time it means great facilities. It is a world-class winter sports resort and thousands of people have wonderful winter holidays there and keep coming back. It is not, by any measure, super smart. There are no five-star hotels and no plans for any and no Michelin-star restaurants. There is no nightclub where you will are likely to bump into Beckham or Beyoncé but there are still dozens of good restaurants and bars. There is now a strong move to expand the higher end accommodation and protect the environment. Hard to believe that 50 years ago there was nothing here except cows and a lead mine where most of the miners died by the time they reached their mid-fifties.